Thousands of B2B professionals apply New Product Blueprinting around the world — but how do you learn it? The AIM Institute has pioneered a comprehensive product development training program to teach B2B-optimized innovation, so companies like yours can understand market needs better and create higher-value products faster. Our proprietary training methodology blends four elements over many months: face-to-face workshops, coached web-conferences, self-paced e-learning and tools, such as our Blueprinter® software. Your new product development (NPD) teams work on real projects and interview real customers as they gain insights and hands-on experience to drive innovation and project success. Because we’ve optimized our training methodology over the years, your cost is transparent and quite low… only ~$3000 per person for a year-long program. 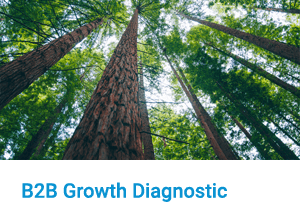 Most companies use our in-house training to immerse several NPD teams at once in the transformative New Product Blueprinting process. Others send individuals or small teams to our open workshops with other companies to “check it out.” Either way, they learn the science of B2B customer insight as our product development training delivers valuable new skills that can be employed immediately. How successful is this training? We train in every region of the world—mostly with Global 1000 companies—receiving exceptionally high ratings and the confidence of clients working with us year after year. 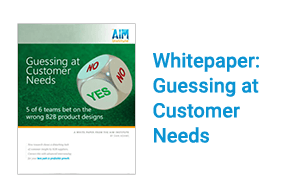 Don’t make the mistake of thinking the B2B customer insight you practice today is even close to Blueprinting. Instead, investigate for yourself by attending one of our open workshops.